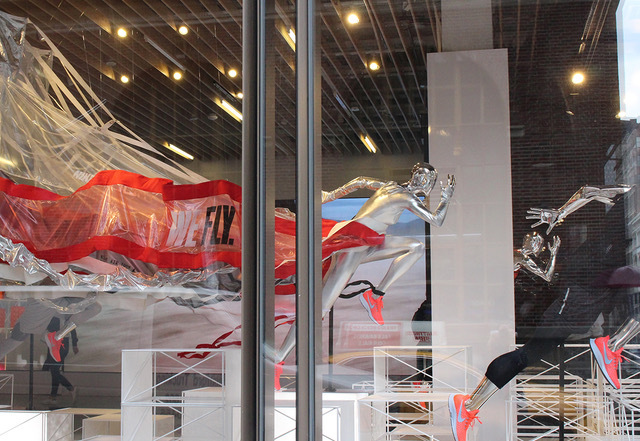 We live for the moment a client asks, “What would PGF do?” With little more than a rough sketch on a piece of scrap paper, and a whole lot of creative inquiry, we brought Nike’s vision for a mythological track goddess to life as a full-blown, 20-foot installation inside their SoHo retail location. The greatest satisfaction? Standing in the middle of the store, listening to visitors ooh and ahh over how rad “Peggy” was IRL.